The Florida Suncoast is one of the best regions in the country for boat lovers. Indeed, Tampa Bay is the largest estuary in the state, and it offers many excellent, unique spots for boating. Though, it bears mentioning that, if proper safety precautions are not taken, boating can become extremely dangerous. 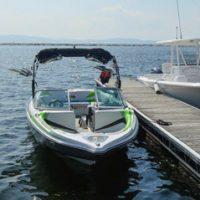 It is imperative that all boat owners and operators follow all boat safety regulations that have been promulgated by the Florida Fish and Wildlife Conservation Commission (FWC). In the unfortunate event that you or a loved one has been injured on a boat, you need to contact an experienced Tampa boat accident attorney for immediate legal assistance. Your attorney will be able to assess your claim and determine what needs to be done to help you seek the fair financial recovery that you deserve. Poor maintenance by the owner or operator. Under Florida law, boat accident victims are owed financial compensation for the full extent of their damages. This includes recovery for both monetary losses and any intangible losses. Unfortunately, insurance companies work hard to make recovering fair compensation a challenge for accident victims. Were you injured in a boating accident? The Tampa Bay personal injury lawyers at Pawlowski//Mastrilli Law Group can help. To request a free, no-obligation review of your case, please contact our team today. We fight for the rights of injured victims throughout West Florida, including in Saint Petersburg, Clearwater, Safety Harbor and Land O’ Lakes.